Fully aware of potential issues, I actually found myself dealing with several that I didn’t expect to be as problematic as they were. As an avid user of iBooks Author since the moment it was released, the promise of iBooks on the desktop in Mavericks was one of the main reasons I updated my operating system the minute it was released. iBooks on your desktop provides the same opportunity to read and organize your entire library of eBooks, including titles bought from the iBooks Store and other DRM-free ePub or PDF books acquired elsewhere. The collections you create will be synced to your Mac via iCloud on first run, although it will not automatically download every book in your account. Your current reading position, bookmarks, highlights and notes made via iOS will be synced automatically. This comprehensive sync also works with non-iBooks Store books added manually to your library. So far so good but the way the app removes my books from their former iTunes location and consumes a large percentage of my SSD boot disk is ill conceived. Most other applications, even those from Apple employing the concept of a library for their data store do at least provide the option to move your potentially large library of eBooks to the external drive of your choice. Here’s hoping a quick fix is on it’s way from Apple because right now the single option for the book storage location is a show stopper for me. 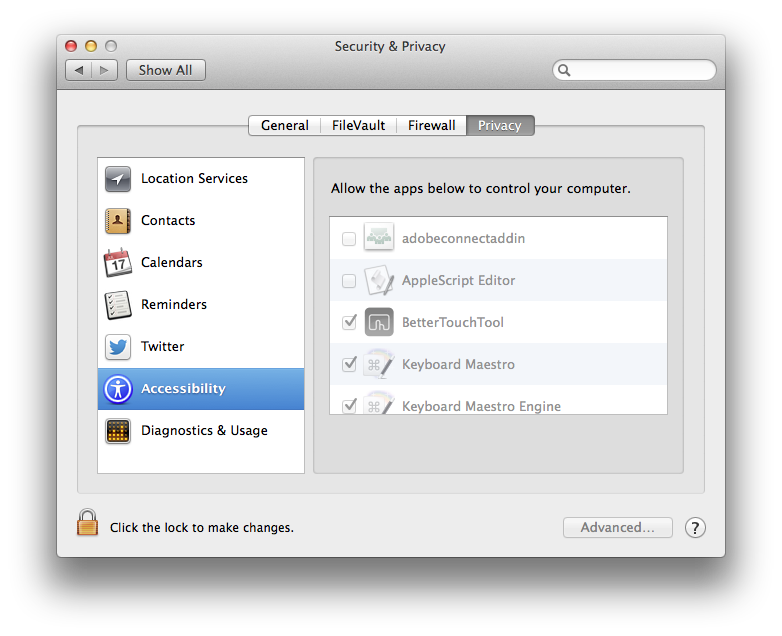 I was an avid user of Spaces, introduced with Leopard, until the huge changes brought in Lion with Mission Control. I found the implementation in Lion and Mountain Lion less useful and the dual monitor support was non-existently laughable. Now in Mavericks there is a plethora of non-sensical options relating to desktops, spaces and window grouping. For example, the inability to display windows across multiple monitors without changing the “Displays have separate Spaces” option means to do so forces you to lose the ghosted menu bar on the secondary screen. The default configuration provides a ghosted menu on the non-active screen while the dock appears on the active screen which are both potentially useful. My biggest problem with the monitor configuration is the fact that an app never seems to open on the same monitor twice. With little rhyme or reason apps randomly select where they open, ignoring the screen they were last run on and the currently active screen. One of the first things that happened when my update to Mavericks was complete was a plethora of dialog boxes flashing up on the screen faster than I could read them all requesting I open the System Preferences and grant various applications permission to run correctly. The apps in question were all those requiring the previously available “Enable access for assistive devices” option in the Accessibility System Preference pane. 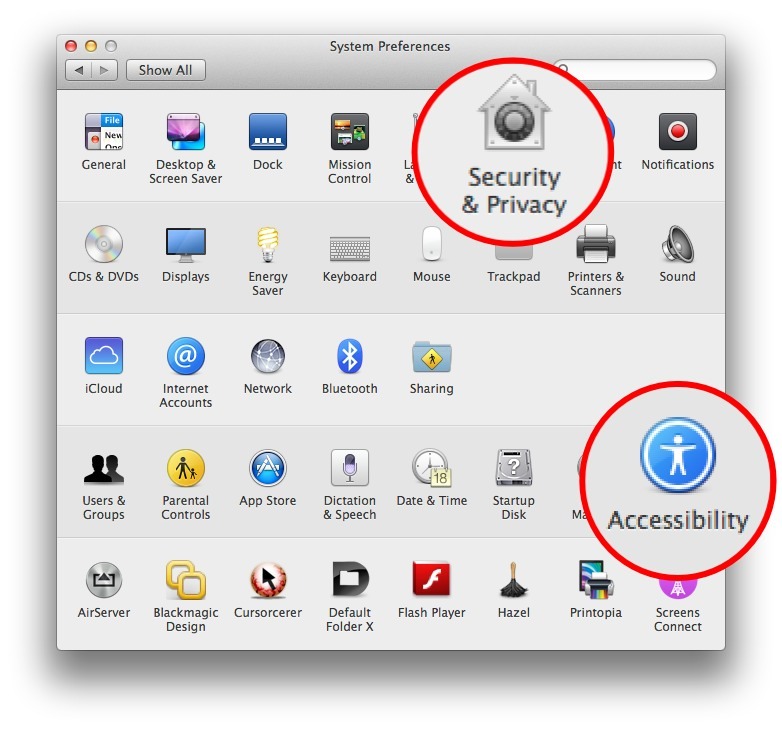 The assistive devices accessibility option has now moved to the Security & Privacy System Preference Pane which is of course Apple’s prerogative but it seems disingenuous to claim this is less confusing than having a consolidated collection of Accessibility options in the previous single location. The other issue is that while previously this option only needed to be activated once, now each application needs to be individually granted permission. More secure? Yes. More of a PITA? Absolutely! It’s not an issue limited to just power users either. 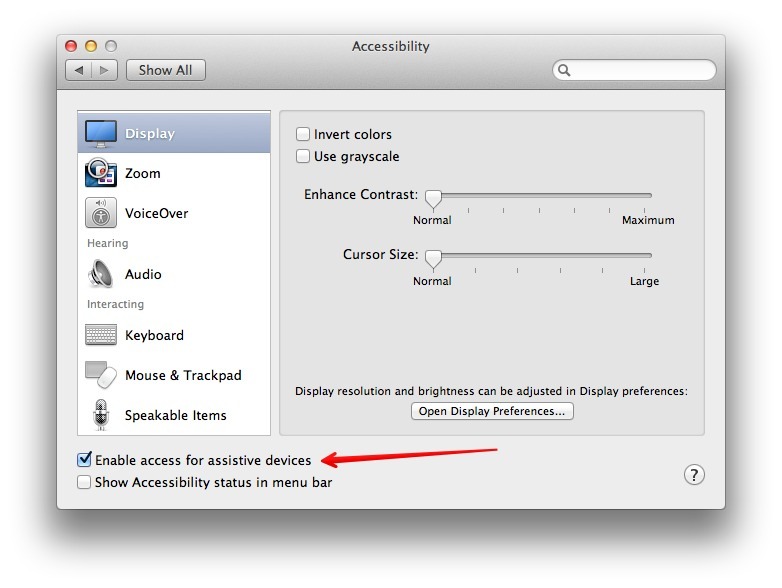 There are numerous applications that need to make use of the accessibility options to function correctly, including Typinator, Moom, Keyboard Maestro, BetterTouchTool, PopClip and Witch to name but a few. 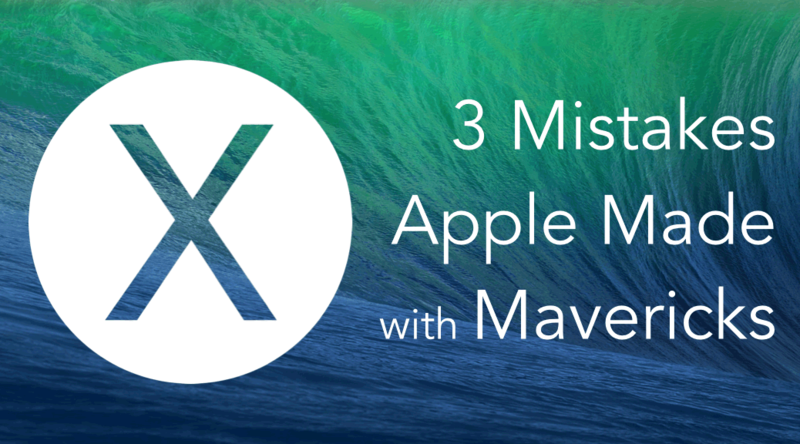 What issues are you having with Mavericks? Or is it all rosy where you are?